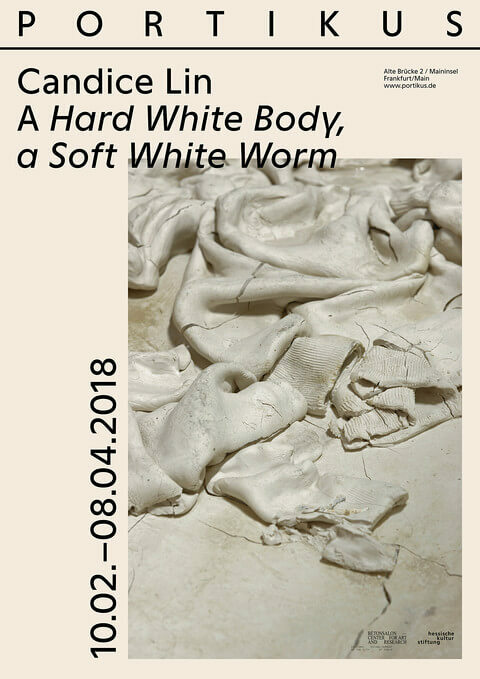 Candice Lin's A Hard White Body, a Soft White Worm at Portikus is her first institutional solo exhibition in Germany. The show is a coproduction with last year's A Hard White Body at Bétonsalon, Paris, newly presenting the porcelain remnants of the latter's previous form. Continuing on the woven histories of James Baldwin, the African American writer and social critic, and Jeanne Baret, the French botanist and sailor, the scene at Portikus presents these stories as fragmented pieces, precariously visible as glimpses of a whole.